Much Park Street was the birthplace of the Standard Motor company in March 1903. Employees at the the end of the first 12 months was 20, compared to 16,000 in 1973. 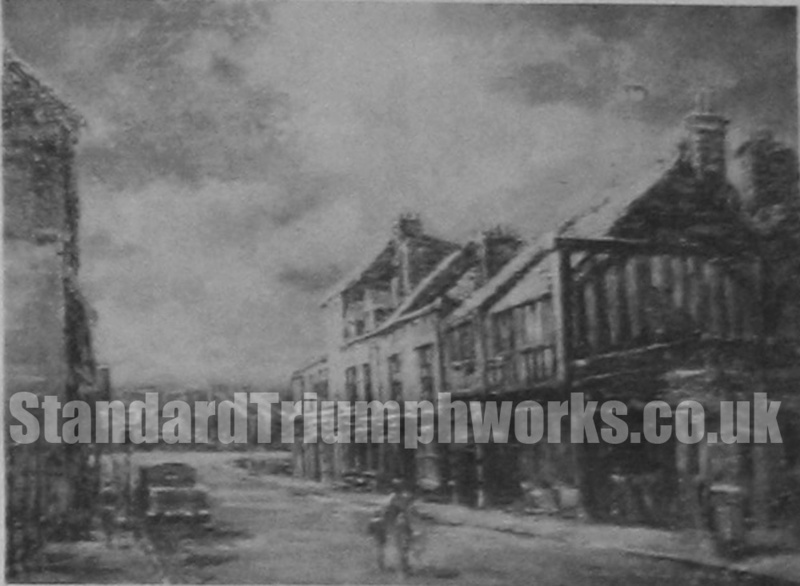 The first picture shows Much Park Street painted by Sid Collins of Inspection at Tile Hill. Sid was a member of the Triumph Art Society. 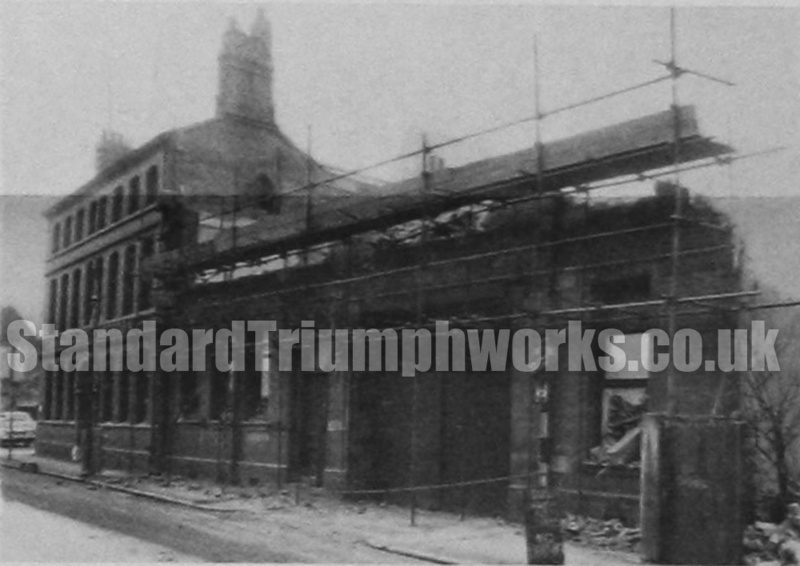 The second photo shows the demolition of the buildings in 1964.